Efforts are underway in earnest to overhaul medical marijuana regulations in Michigan as the state looks to close loopholes in its existing cannabis laws. 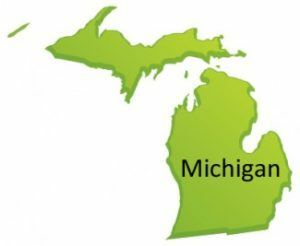 Michigan lawmakers jump-started the process yesterday by officially discussing the medical cannabis issue at a judiciary committee hearing, emphasizing that the main objective is to bring clarity to the MMJ community. They will convene several more times and hope to finalize the reform bills and vote on the legislation in the coming weeks. The moves come after a tough year for the Michigan medical marijuana industry. The state unexpectedly flip-flopped on MMJ last summer and began cracking down on cannabis collectives and marijuana cultivation sites, with Attorney General Bill Schuette coming out as the most vocal opponent of the current pot laws. Schuette has said the state’s cannabis regulations have so many holes that they “make a mockery of Swiss cheese,” and he accused MMJ advocates behind the 2008 voter-approved law of misleading residents. As part of the crackdown, authorities raided a handful of dispensaries, putting pressure on the industry as a whole and leading hundreds of cannabis businesses to shut down for fear of prosecution. So what does this all mean for dispensaries, MMJ businesses and patients? It’s hard to say at this point, but lawmakers will most certainly introduce a host of new restrictions and regulations that will make it more challenging to obtain – and possibly distribute – medical marijuana. Proposals currently on the table focus on topics ranging from how residents get recommendations from doctors to the type of identification cards patients should carry. Even if the new regulations don’t directly target dispensaries, marijuana collectives will nonetheless feel an impact, especially if their market shrinks because it’s harder for patients to get a card. Like several other states, Michigan saw an explosion of cannabis dispensaries in 2009 and soon discovered that it wasn’t yet ready to handle and provide the appropriate oversight to such a controversial industry so quickly. Now, lawmakers want to rein in the industry and ensure that it’s operating as voters intended when they passed the MMJ law in 2008.